This is awesome! The Velveteen Band was featured here on Looper Media‘s “untold story” about our dear friend Doc Phineas of Pawn Stars! Check it out! Looper’s expanded page for this story also features Doc and Foe in our “A Walk with the Doc” Steamathon video. But, you’ve seen that. What else can we show you? 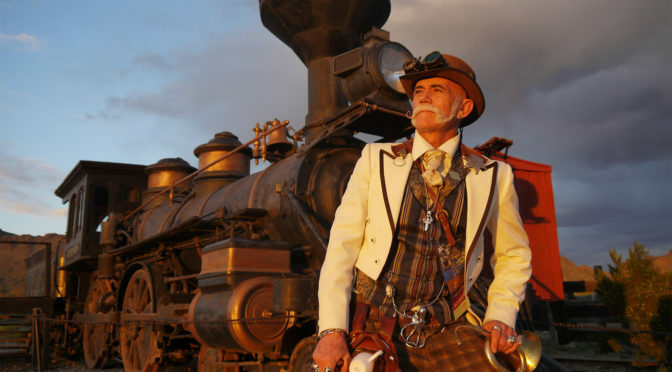 Well, here’s a clip from Doc’s most recent performance with us, at Oxnard SteampunkFest. We’re looking forward to seeing Doc Phineas again at Steamathon 3 in 2018, and hopefully a few times between now and then! Meanwhile, keep an eye out for Doc’s appearances on Pawn Stars, and maybe a few other places.